To Make Marinade: Combine 1 tablespoon soy sauce, 1 tablespoon oil and 1 tablespoon cornstarch/water mixture and mix together. Place chicken pieces in a glass dish or bowl and add marinade. Toss to coat. Cover dish and place in refrigerator for about 30 minutes. To Make Sauce: In a small bowl combine, 1 tablespoon soy sauce, 1 tablespoon oil, 1 tablespoon cornstarch/water mixture, chili paste, vinegar and sugar. Mix together and add green onion, garlic, water chestnuts and peanuts. In a medium skillet, heat sauce slowly until aromatic. 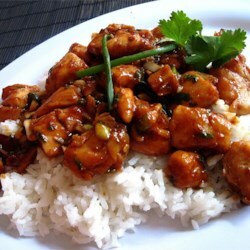 "Now the tasty kung pao chicken is ready to serve"
Stir in the cumin seeds, garlic, and ginger paste. Cook about 1 minute until garlic is lightly browned. Add the potatoes. Season with turmeric, paprika, cumin, garam masala, and salt. Cover and continue cooking 5 to 7 minutes stirring occasionally. Mix the cauliflower and cilantro into the saucepan. Stirring occasionally, continue cooking 10 minutes, or until potatoes and cauliflower are tender. 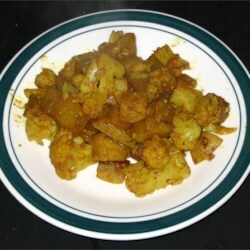 "Now the tasty gobi aloo is ready to serve"
Saute shallot and onion until soft and translucent. Add tomato sauce, and cook for 2 minutes, stirring frequently. Stir in half-and-half and yogurt. Reduce heat to low, and simmer for 10 minutes, stirring frequently. Heat 1 tablespoon oil in a large heavy skillet over medium heat. Cook chicken until lightly browned, about 10 minutes. Reduce heat, and season with 1 teaspoon garam masala and cayenne. Mix together cornstarch and water, then stir into the sauce. 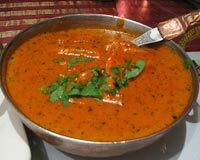 "Now the delicious chicken makhani is ready to serve"
"Now the tasty crab roast is ready to serve"
Wash the mushrooms well and wipe them well on all sides, with towel. then chop it into medium pieces. Take a pan heat the oil, add the cumin seeds, cloves and cook till spluttering stops. Now add the onion, and Saute onions till it becomes brown. 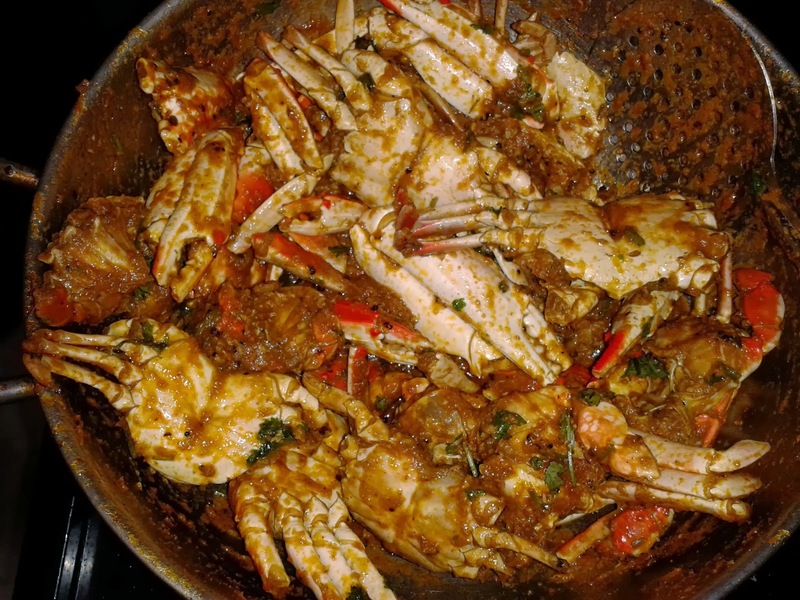 Add ginger garlic pastes, curry leaves and fry for 1min. Add the turmeric powder, red chilli powder, cumin powder, coriander powder and garam masala powder, salt needed and stir to mix well and cook for a few minutes. Now add the mushrooms and stir fry till cooked, then add a little water and cook till the mushrooms are soft. 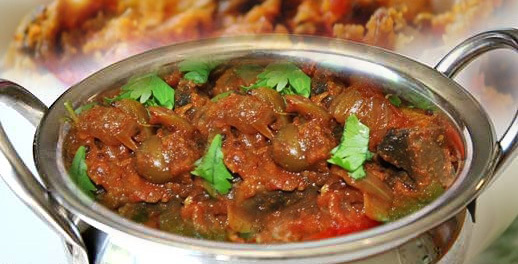 "Now the tasty mushroom curry is ready to serve"
Prepare syrup with sugar and water to 2 1/2 thread consistency. Use method as shown in introduction. Warm coconut in heavy saucepan, pour in the syrup. Stir well and cook till soft lump forms. Spread in a greased plate. Cool. Cut into squares, store in airtight container. 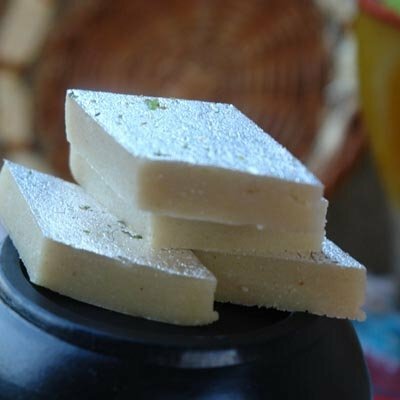 "Now the tasty coconut burfi is ready to serve"
"Now the delicious kaju barfi is ready to serve"